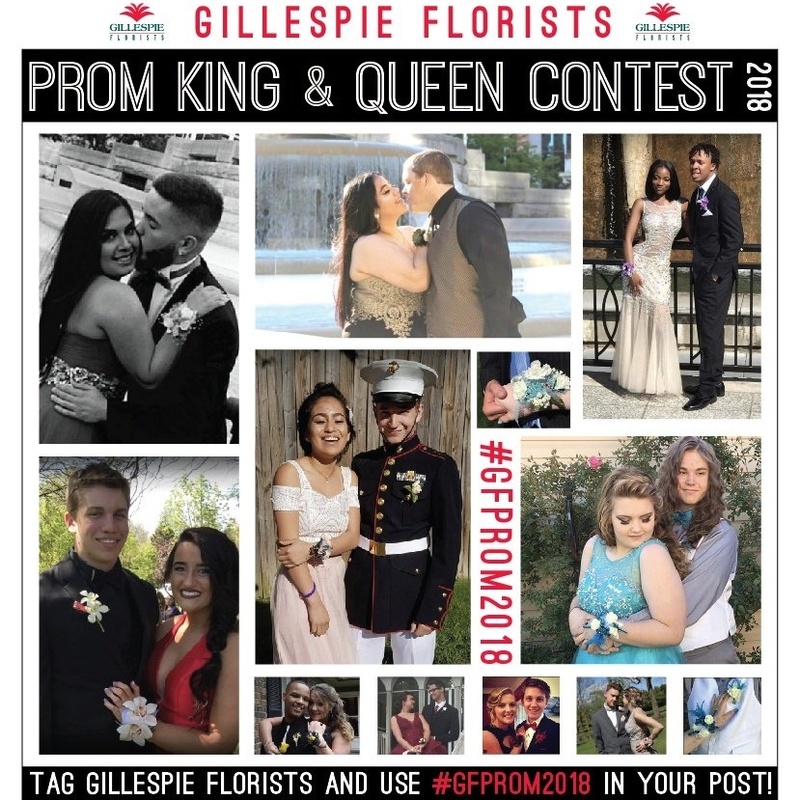 A few years ago, we at Gillespie Florists thought it would be fun to have a Prom King & Queen Contest and have been having it every year since! We had some fierce competition this year! With more entrants than ever, it was exciting to see all the positive comments and "likes" from friends and family of contestants! Prom goers only needed to post their picture on our Facebook Place Page or they could use #GFPROM2016 on Instagram or twitter wearing our flowers! We then asked our social media followers to "Like" their favorite picture or make a positive comment about it to determine the winner. Hiedi Nguyen & Paul Sanders with a total of 212 likes/comments! 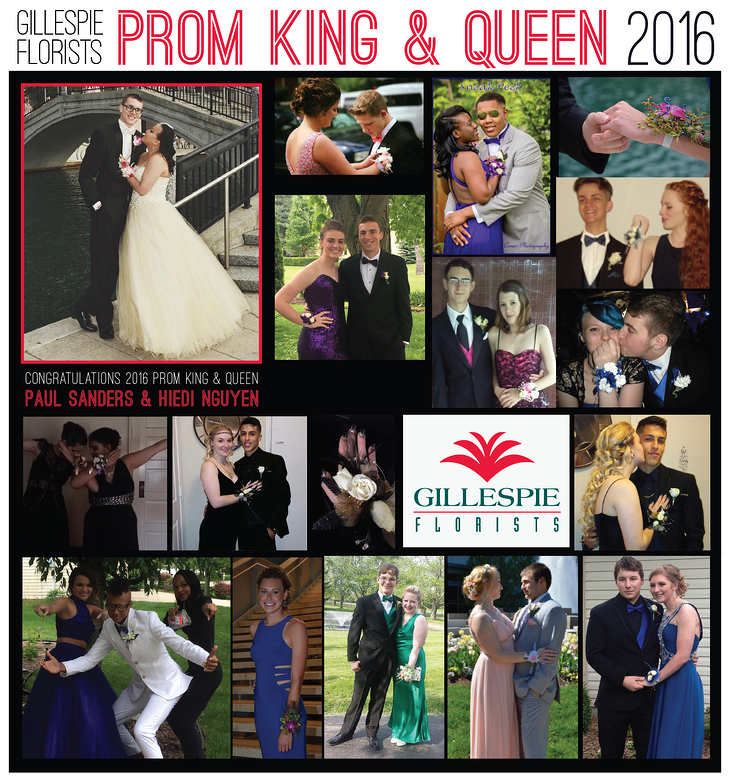 Hiedi and Paul each get a $25.00 gift card to Gillespie Florists and Hiedi will be crowned with a tiara and flowers! Hiedi was wearing a three sweetheart rose & two mini carnation wrist corsage in light pinks, hot pinks and gold! She also had our very popular "Sugar Sugar" ring, made with a hot pink sweetheart rose, waxflower and gold accents! As a Thank you, Our Runners ups will recieve a $10.00 gift card each and each girl will recieve a Sunshine bouquet! Just stop in the store, let us know you are a runner up! Ahh memories...those moments in time you will never forget. 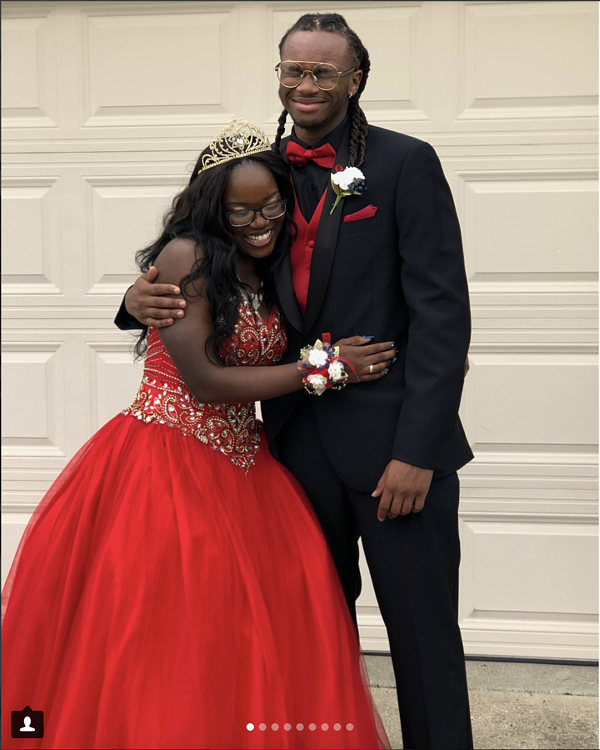 Prom Night is all about unforgettable moments whether they be romantic, comical, dramatic, amazing, fun, crazy, silly, catastrophic, and lastly, epic. 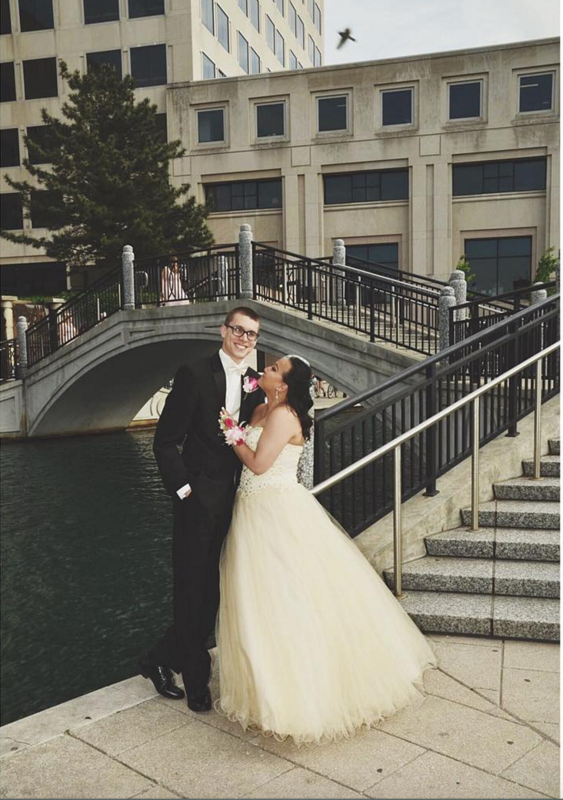 However your dream Prom is remembered is completely up to you. How your evening begins? We have a menagerie of materials and florals to start this magical night with sparkle, shine, and all things divine. 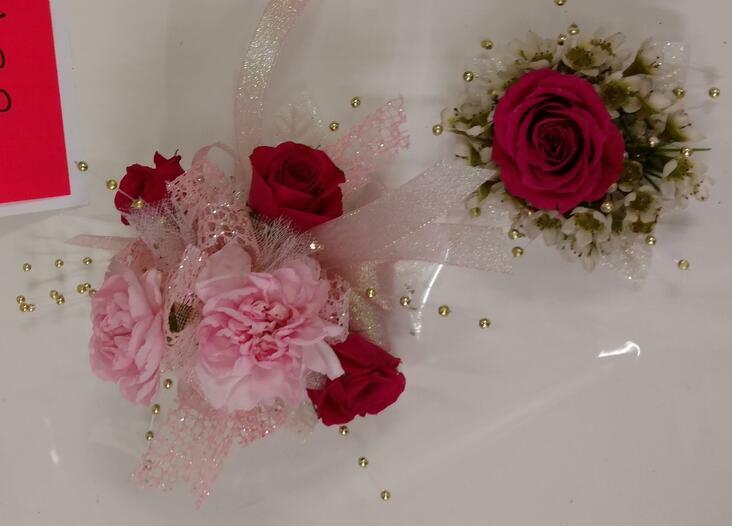 Speaking of divine, our floral designers have been hard at work with fresh new creations for Prom Night 2016! Metallics, shimmer ribbons, glitter, rhinestones and all your favorite shiny decorations are back along with a generous element of texture. 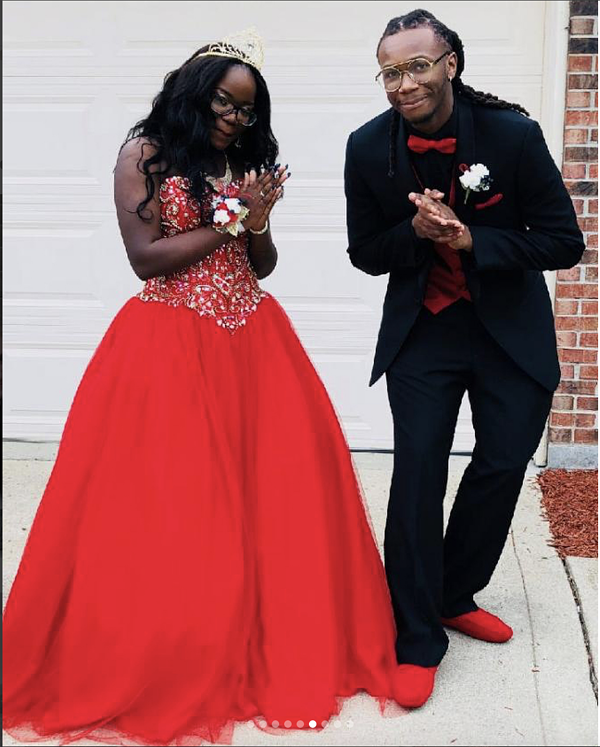 Popular prom dresses this season are simply smooth and chic which means it's time to accessorize your ensemble with a glamorous corsage! Latest trends are letting Nature take its' course with succulents and greenery in high demand. Think tropic and exotic with colorful orchids, feathers, and striking blue thistle. Even our boutonnieres are going above and beyond with makeovers to match their corsage counterparts. Are you feeling the "Wow" factor? Amazed? Have we taken your breath away? Just think! 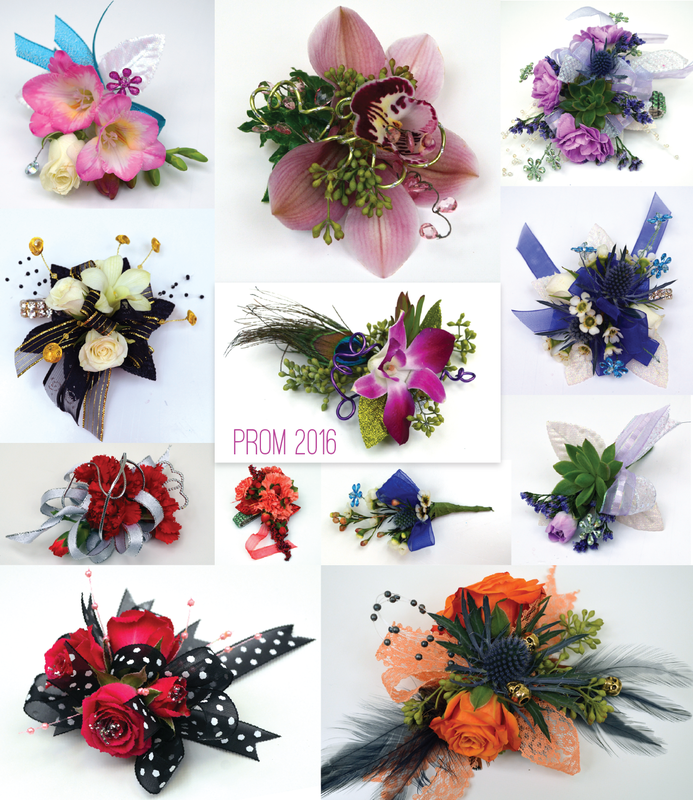 The above corsage collage is a minor sampling of everything Gillespie Florists has to offer for an extraordinary Prom Night! 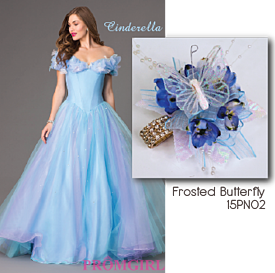 Ready to get started on your dream corsage? 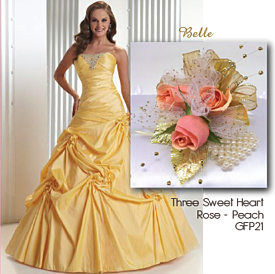 Visit our Prom Night collection online for great ideas and come into our store to view our prom materials and supplies! 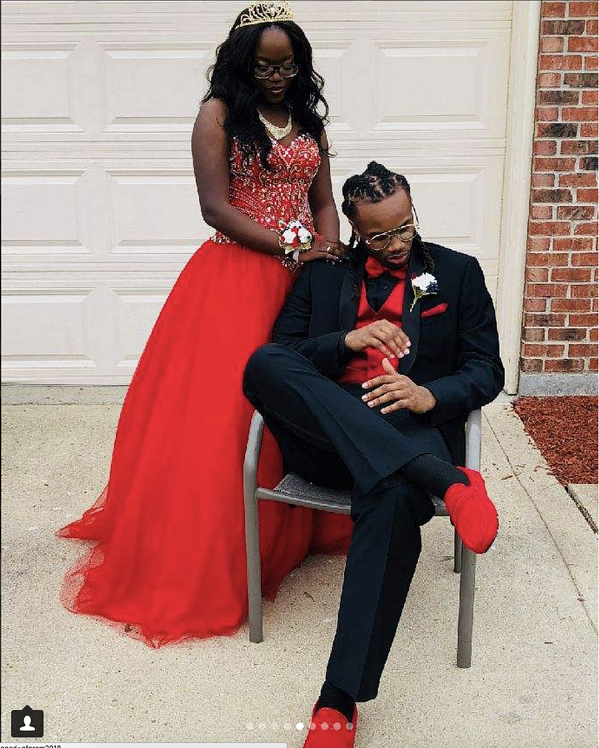 Our knowledgable prom specialists can help with questions, colors and special requests. 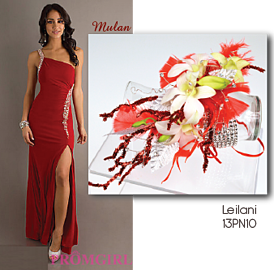 Prom season is here; get started now!